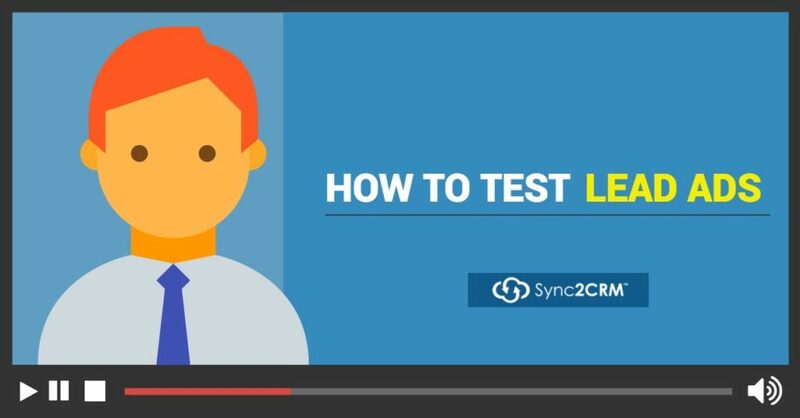 We have had a question come up several times over the last week in our Sync2CRM User Group and support about lead ads not working. The issue is … when you try to test the lead ad yourself, it goes directly to the website instead of popping up the Lead Ad form. The short answer is you can only fill out a Lead Ad form once. So if you are being sent to the website, it is because you have already filled out the form. The tool is designed for developers but is handy for anyone wanting to fill out a lead ad multiple times. Watch the video for the full tutorial. Which reminds me, we are creating an awesome community in the new “Facebook Ad Questions” Facebook group. This is exactly the sort of question you might get answered there. If you aren’t already a member, I hope you will join us. And, it is no surprise that the savviest marketers, including 2011 Infusionsoft Marketer of the Year, Jermaine Griggs, NY times best-selling author Rory Vaden, and 2 of the 3 finalists for this year’s Marketing ICON, among many, many others use Sync2CRM to multiply the ROI on their Facebook advertising. If you are not already a using Sync2CRM, sign up for your free 30 day trial today.